In the following Aetna Life Insurance Review we will explore the pros and cons of the company’s group life insurance. It is important to note at the outset that anyone considering group life insurance should consider it as supplemental to individually owned life insurance. At TermLife2Go, we work with dozens of top rated best life insurance companies, including no medical exam life insurance. Give us a call today and let us help you get the coverage you need. Aetna was established more than 160 years ago in Connecticut. Since then, they’ve been helping people like you to find the right insurance. They offer more than just life insurance. Aetna also offers health, dental, international, vision, and supplemental insurance, among other insurance products. Aetna works with employers, healthcare professionals and individuals to offer great insurance coverage. Purchasing a life insurance policy is different from most other purchases. You need to make sure the company is still going to be around in 20, 30 or even 40 years when it comes time to cash out your life insurance policy. But how do you figure out which life insurance companies are going to be reliable? There are many rating agencies that help insurance customers to understand the financial status of institutions like Aetna. 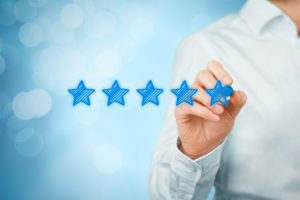 These ratings agencies spend a lot of time going through all the paperwork with a fine tooth comb to understand the strengths and weaknesses of a life insurance provider. This helps insurance customers understand the stability of the company they are considering. AM Best Company is one of the best rating agencies around. They have granted Aetna Life Insurance Company an A (excellent) rating. This is AM Best’s vote of confidence in the organization, and should reassure potential life insurance customers like you. Issued by American Continental Insurance Company, this final expense insurance policy provides Level, Graded and Modified death benefit plans (depending on availability in your state). The policy builds cash value that can be used to pay premiums. Aetna has designed basic & supplemental life insurance to help you keep the costs of life insurance down while still offering your family the support they need. The basic life insurance is coverage for any cause of death, minus a two year suicide exclusion. Supplemental coverage, such as accidental death insurance, provides an additional death benefit. Using life insurance through an employer is a great way to supplement your existing coverage, but it should never take the place of your own policy. Getting you own coverage, whether it be level term life insurance or whole life insurance, means that you call the shots, not your employer. Not sure what type of coverage would be right for you? You can learn more about the differences between whole life vs term life insurance here. If you have an accelerated death benefit, referred to as a living benefit rider, you can receive a portion of the death benefit while you are living. Basically, if you become terminally ill, you can get a payout even before you die to assist your family in this crucial time of need. You will have to call the Aetna care advocate to activate. If you are injured in an accident or if you die in an accident, you will receive this payout. There are various factors that will go into the payment you/your loved ones receive. Some injuries are not necessarily categorized as “accidental” so you will need to speak with a representative to know what exactly this covers. If you have a child, you can get life insurance options that consider the costs of childcare as well as education for your child after your death. You can take your coverage with you when you leave your employer. Please note, your premium will increase substantially. Consider individual life insurance as an alternative. When you retire, you can convert your coverage to last the rest of your life. However, it comes with a hefty price tag. For example, a 70 year old looking to convert $100,000 of coverage would pay $725 a month. Once again, consider individual permanent life insurance as an alternative. Aetna is a great insurance company, but unfortunately you can only purchase a life insurance policy from Aetna through your employer. Check out our article on the dangers of relying on life insurance through work. Aetna life insurance may be your only option. However, for those who are healthy, individual coverage can be very inexpensive. Consider the cost of a million dollar life insurance policy. You can explore our life insurance rates by age chart to get a better idea on the price for an individual plan. After you speak with your Aetna representative, then give TermLife2Go a call. We will help you determine which of the many life insurance companies we offer can offer you the best coverage-based on your unique health and lifestyle. So, what are you waiting for? Give us a call today or visit our Term Life Insurance Quotes page and see what we can do for you! We can help! Please call one of our licensed agents at (888) 234-8376. We suggest contacting your previous employer’s HR department or the life insurance provider that managed the policy. I am looking for final expense for my father. Sounds good, we’ll have an agent reach out to you shortly so they can discuss what options may be available to you. I am looking for a policy for my mother. See was born I938. Do you have a product available. We might, it will probably depend on what state your mother lives in. Feel free to play around with our quoter, if rates appear given your mothers age, we should be good to go (given that the rates are reasonable). I will be 77 December 27th and am seeking Final Expense insurance. Would appreciate knowing the amounts that I qualify for and the rates. We’ll have an agent reach out to you soon so that they can provide you with some accurate quotes.